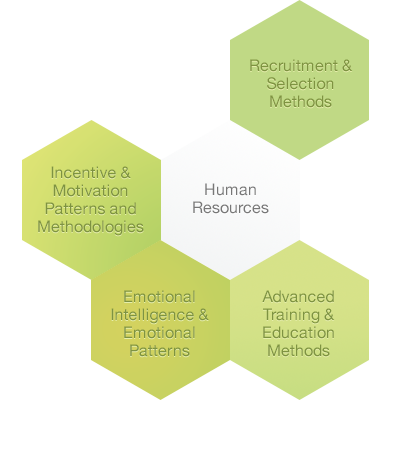 RECRUITMENT & SELECTION METHODS: The most advanced techniques mixing psychological testing with assessment center methods are available for your HR choice. Manage the potential of your people from the very beginning…. EMOTIONAL INTELLIGENCE & EMOTIONAL PATTERNS: Our behavior is driven by emotional processes. Learning about communication, leadership or negotiation requires the understanding of a hidden emotional maze underneath our choices and actions. Emotional intelligence accounts for more than 60% for your success. Developing your EQ is boosting your Humanware.